The course is held at the teacher's home. 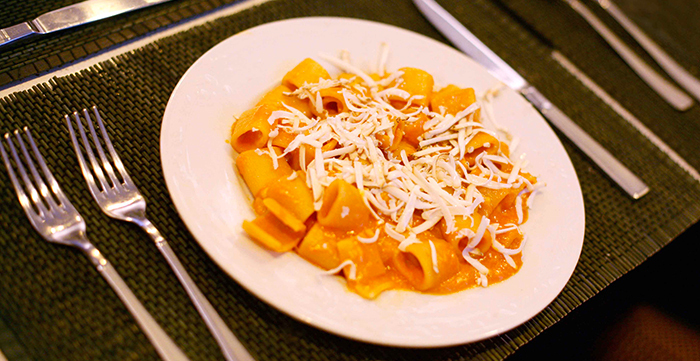 This makes a real experience of every day Italian cuisine. The course is based on meetings of approx. 3 hours / meeting and shaped for all potential participants, also for the novice who is interested in learning about cooking. During each lesson the students prepare and cook a different complete menu which consists of typical dishes of Italian cuisine in the tradition of genuine simplicity. At the beginning of each lesson the teacher explains the menu of the day and distributes the work. 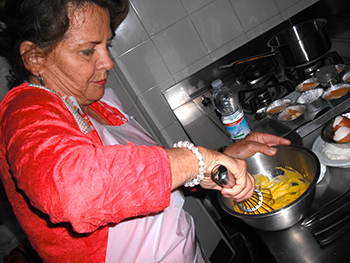 During the preparation and the cooking of the food, the teacher demonstrates, explains and gives valuable hints and tips. This course is organized in such a way that the students can experience with their own hands the way of cooking in the Italian style. The course is also done with only one participant and you can choose the number of sessions, from one to several sessions.